SSL security is a critical component to an enterprise’s overall security strategy. 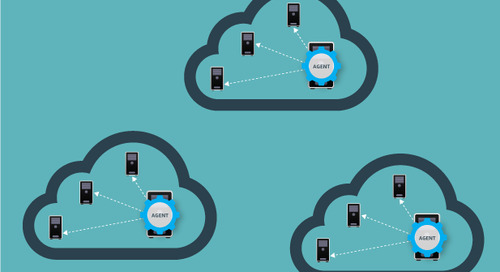 With the increasing number of Internet-connected devices, online portals, and services that organizations manage, there are more opportunities for vulnerabilities and a growing number of threats that these systems face. System administrators are responsible for hundreds—if not thousands—of certificates that come with unique expiration dates, endpoint vulnerabilities, and mandate internal processes and controls for preventing intrusion, and many organizations today require the use of all of these SSL Certificates to ensure secure data transmission for sites and internal networks. Therefore, keeping track of each and every certificate has become burdensome and unmanageable, and it has become essential for admins to have a single, centralized platform to handle the installation, deployment, monitoring, and total management of all SSL Certificates within their network regardless of issuing Certificate Authority (CA). 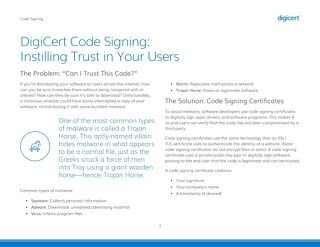 CertCentral® is a platform created to consolidate certificate monitoring, SSL deployment, certificate inspection, and PKI management. 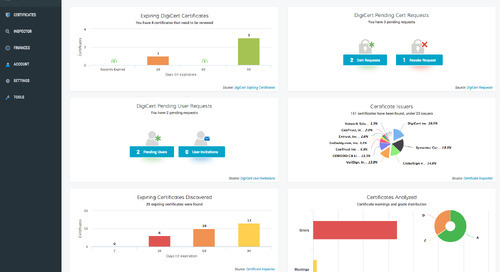 A visually appealing and intuitive dashboard, as well as built-in essential certificate management tools makes CertCentral® the perfect solution for enterprises using a multitude of certificates, allowing organizations to be proactive rather than reactive in their certificate management. The CertCentral® dashboard is straightforward and easy to use, enabling enterprise administrators to drill down to specific sections, such as SSL endpoint notices and certificate notices, in order to examine more detailed certificate information. In addition, all information is presented through intuitive, readable graphs that are simple and convenient for any admin or authorized employee. 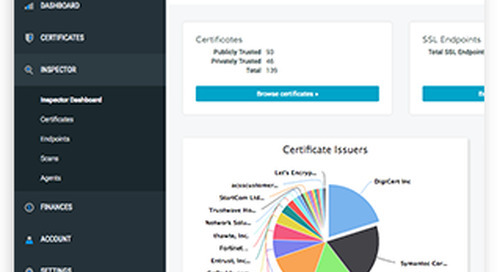 On the homepage, view the pie chart to see all the certificates in a security landscape separated by the issuing CA, check on expiring certificates through the graphs presented, and see the overall level of certificate and SSL endpoint security represented by letter grades. Use the sidebar menu to access other certificate management details in a company’s account, such as certificate orders, domain validation, certificate monitoring, and other helpful tools. 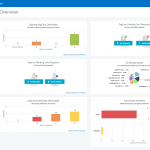 CertCentral® also focuses on simplifying the four critical components of certificate lifecycle management: the installation, monitoring, inspection, and management of certificates across the enterprise. Installation: People less familiar with installing and configuring certificates may find the SSL installation process overwhelming. With one click, Express Install allows a DigiCert user to install and configure an SSL Certificate. Monitoring: Constant vigilance is needed in order to maintain brand protection and consumer trust. Certificate Monitoring monitors all SSL Certificates in an organization and notifies admins of phishing attempts. Inspection: It is difficult to keep detailed information about each individual certificate up-to-date. Certificate Inspector conducts vulnerability scanning, and delivers analytics and information about certificates and endpoint configurations, reducing admin burden. Monitoring, deploying, inspecting, and managing SSL Certificates throughout a network is made convenient and effective through one interactive and intuitive platform. 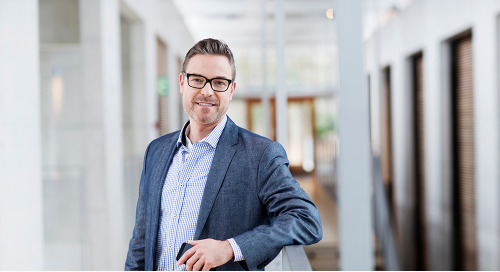 A single management system like CertCentral eliminates the need for manual certificate management, and fully allows enterprise administrators to take control and streamline SSL security across an entire organization.